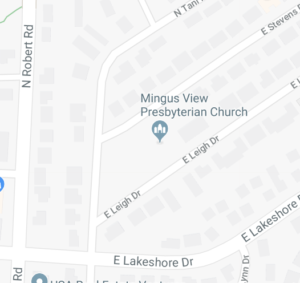 Mingus View Presbyterian Church. . .
. . . a fellowship of believers proclaiming the Gospel of Jesus Christ through worship, nurture, and striving to exhibit the Kingdom of God to our community and the world. 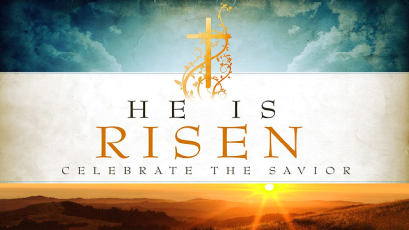 Sunday, April 21, 2019, 10:00 a.m.
Christ is Risen! Christ is Risen Indeed! All are invited to worship at Mingus View Presbyterian Church on Easter Sunday, April 21st. On this day we sing our praises to the Risen Savior. Pastor Lois Hildenbrand’s sermon is entitled “Imago Christi” (John 20: 1 – 18). The Celebration Bell Choir will open the service with “Ode to Joy” by Ludwig von Beethoven. The Choir will sing “Easter Alleluia” by Nancy Price and Don Besig. The Sacrament of Holy Communion will be celebrated. Hymns for the day include “King of Kings”, “O for a Thousand Tongues to Sing”, accompanied by the Bell Choir, “The Day of Resurrection”, and “Jesus Christ is Risen Today”. A potluck Easter brunch will follow the service. All are welcome, even if you don’t bring a dish. There is always an abundance of food!